It’s the bunny’s Birthday!!! Wow, hard to believe that the Energizer Bunny is turning 25! He sure doesn’t look a bit over 16, doesn’t he? 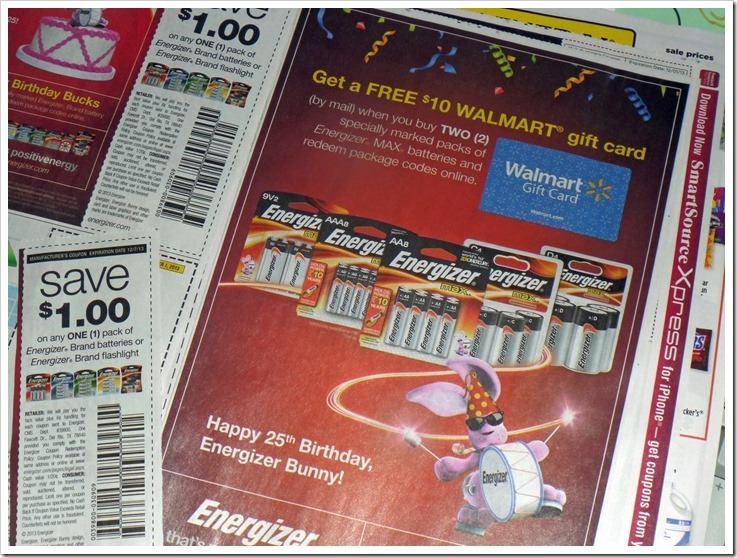 In honor of the Bunny’s Birthday celebration, Energizer and Walmart have teamed up for a deal. 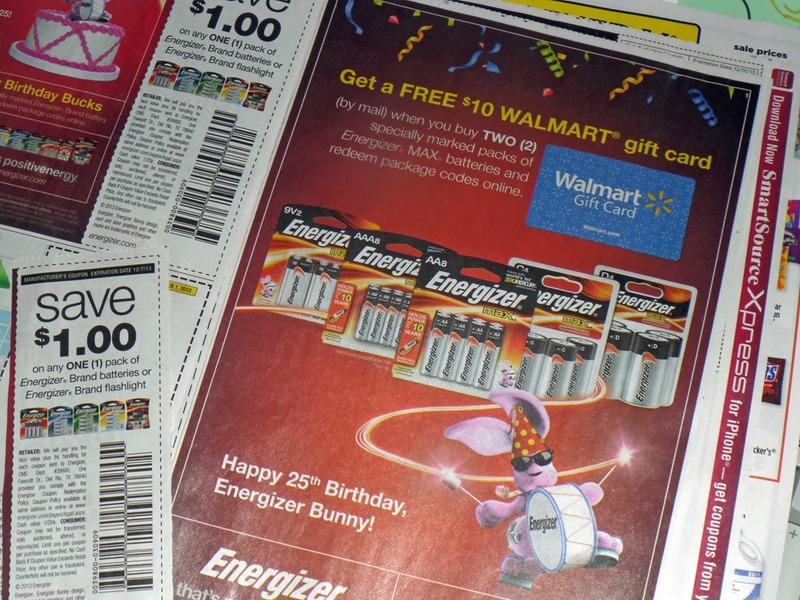 Have you seen this awesome battery deal from Energizer in your Sunday paper a few weeks back? I was super excited, because batteries are always a MUST Christmas morning or for Birthdays and I know how expensive they can be. I always look for a deal and try to stock up if I can. 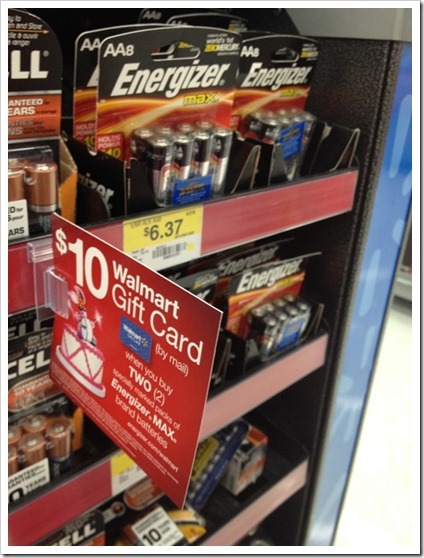 Walmart currently has a great deal if you buy 2 specially market packs of Energizer MAX you can redeem the code that is attached to the package for a $10.00 Walmart gift card. Now, that’s a deal on its own, but it gets even sweeter if you use the coupon that was in the October 27, 2013 Smart Source insert in your Sunday paper, mine was for $1.00 off on one package, OR you can print a $1.00 off 1 package MAX AA8pack or larger. 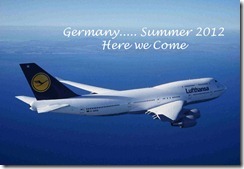 Here is the deal …. At my local Walmart they had the 8 count MAX AA’s for $6.37; so if you purchase 2 at the store that’s $12.74 and use 2 $1.00 coupons; that brings your register out of pocket to $10.74; then submit your codes for the $10.00 card, making it two packs of 8 MAX AA batteries for $0.74! Can’t beat that deal; the batteries hold a charge for 10 years and I know you will need lots with the holidays. Our family goes through batteries like crazy. I bought my packs the other day and as soon as I came home I went online to redeem my codes and it was super easy; took 2 minutes and my Gift Card is now on the way. Let’s all join in and sing Happy Birthday to you… Happy Birthday dear Energizer Bunny, Happy Birthday to you!!!!! 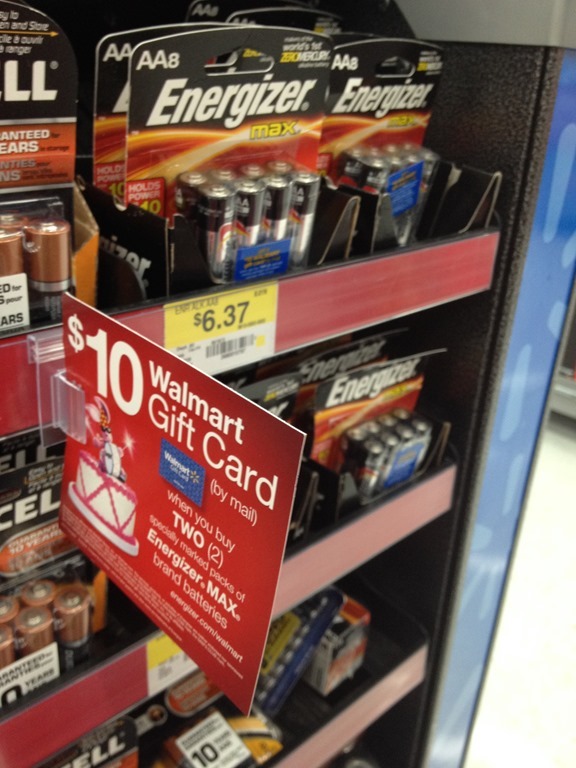 What would you do with your batteries and the extra $10.00 from Walmart? I know my batteries will go in Christmas gifts for the kids and I have a few candles around the house that need replacement batteries and the gift card will come in handy to buy some Birthday Cards for upcoming fall Birthdays. What is it about that little bunny that is so cute. I never realized they celebrated his birthday. What an awesome deal. We stopped getting the paper because I never read it. We were paying out money just to throw it away. Is the bunny only 25, I thought he has been around longer than that. I haven’t gotten to look at my coupons yet. Happy birthday to the bunny. I didn’t realize he was that old! I have been watching the Energizer Bunny for 25 years already? Time sure does fly! I don’t shop Walmarts-none near me and the one I could go to is actually a very small one with horrendous parking!! 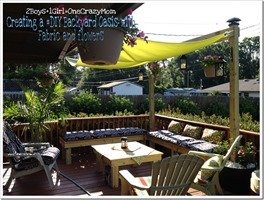 This is a great deal especially if you happen to need or will be needing batteries!! I need to start getting the Sunday paper so that I can cash in on these deals too. We use lots of batteries in Christmas gifts – electronics mostly. Shoot, I’d probably just buy another couple packs of batteries with the $10 and that’s a good thing. I go through them like water, but Energizer is my favorite kind! Happy Birthday Energiser Bunny! Please bring that amazing promotion fir batteries to the UK! Oh man! 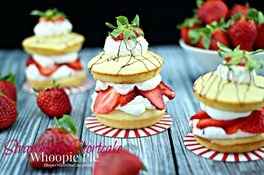 I wish I would have known about this a couple of days ago! I will have to go stock up on batteries! Thanks for sharing! Extra batteries sure would be nice around here. My kids run through ours quicker than anything else. And the bunny is 25!? Boy, I feel old! 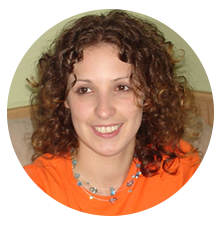 Theresa recently posted..JUSTBLOOMbox~ Beyond Beauty & Just What You Deserve! I had no idea I was older than the Energizer Bunny! Also, I need to check my past inserts for this! We need batteries!! thank you! Happy Birthday to the Bunny! I thought he had been around a lot longer than 25 years. I will have to take advantage of this deal. We really use quite a bit of batteries. Cool! 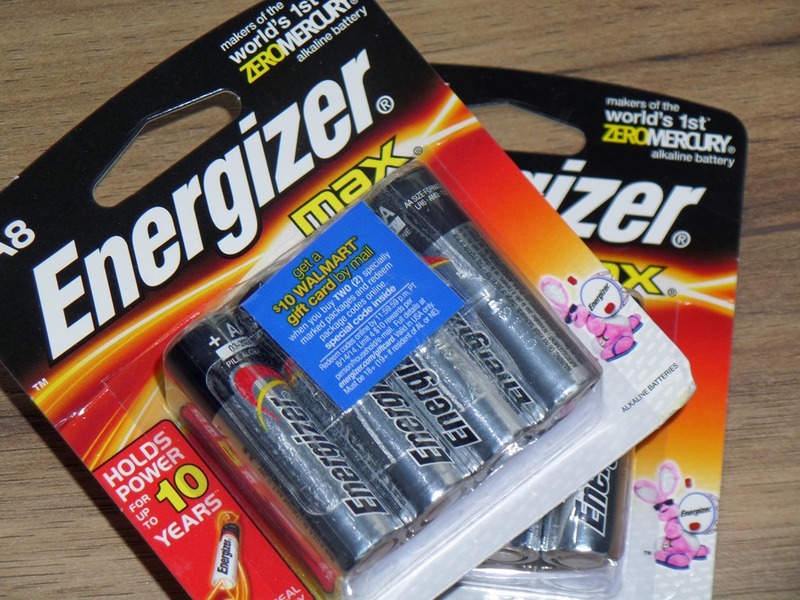 We’ve used energizer for years now, and I never knew that it turned 25! The Energizer Bunny is turning 25! Jeeze I feel old. I always feel like I can never find batteries at home when I want them or I can and they are the wrong size. That’s a really great deal. We always have to stock up on batteries. Almost all of our christmas gifts require batteries. Thats a great deal i love to get something like this for next to nothing,although we only use rechargeable batteries in this house what with all the remotes and toys we would be spending a fortune lol. I’ve heard of these. 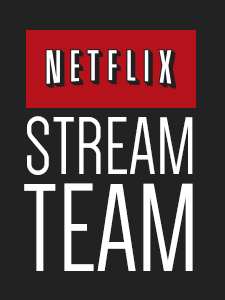 They sound great and very helpful! Wow, 25 years old? I can’t believe it’s been that long! We go through so many batteries because of my grandson’s toys, but this brand if by far superior to others! oh man, where would we be with out the energizer! they are the best! 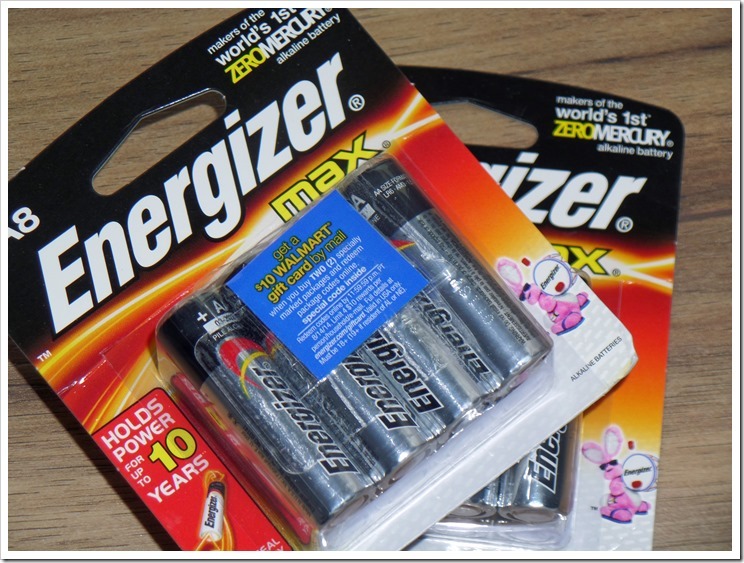 I use mainly rechargeable batteries because it saves us so much but love the extra gift card! I’m going to stock up for Christmas and for my wireless mouse. I have a bad habit of leaving it on and running the batteries out all of the time. Oops!